May 26, 1865 – Federal commanders accepted the surrender of the Confederate Army of the West, the last major body of troops remaining in the field. On May 9, Smith rejected a proposal from Federal Major General John Pope, commanding the Department of the Missouri, that Smith surrender under the same terms that Ulysses S. Grant had given Lee and William T. Sherman had given to Joseph E. Johnston. Two days later, Smith reported that most of his soldiers had simply stopped fighting and went home. That same day, Brigadier General M. Jeff Thompson surrendered the remains of his Confederate brigade at Chalk Bluff, Arkansas on the St. Francis River. Smith began realizing that the Federal numbers were too overwhelming. He called a conference with the exiled governors of Louisiana, Missouri, Arkansas, and Texas at Marshall, Texas on May 13, where Smith told the attendees that he considered it his duty to hold out “at least until President Davis reaches this department, or I receive some definite orders from him.” The men did not know that Davis had been captured three days before. Some attendees disagreed, considering it “useless for the Trans-Mississippi Department to undertake to do what the Cis-Mississippi Department had failed to do.” Some threatened Smith with arrest if he did not continue the war. The men finally decided to appoint Louisiana Governor Henry W. Allen to go to Washington and try negotiating a settlement. Meanwhile, Federal General-in-Chief Ulysses S. Grant assigned Major General Philip Sheridan to command some 50,000 Federal troops west of the Mississippi. Although Sheridan expressed disappointment at having to miss the Grand Review, Grant explained to him that he would not only be forcing Smith’s surrender but also discouraging France from colonizing Mexico in violation of the Monroe Doctrine. 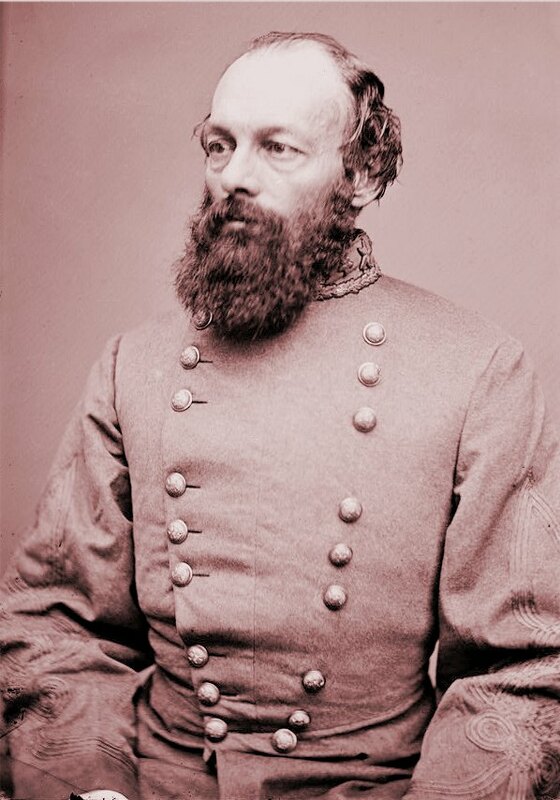 Sheridan’s reputation for pillage and destruction made him one of the most hated and feared men in the South. When Smith received word that Jefferson Davis had been captured and Sheridan was coming west, he decided to finally negotiate. He dispatched his chief of staff, Lieutenant General Simon B. Buckner to arrange a surrender, not with Pope in St. Louis but with General E.R.S. Canby in New Orleans. Buckner had surrendered the first Confederate army at Fort Donelson in February 1862; he would now surrender the last. Buckner and Canby began conferring on May 25, and Buckner agreed to surrender on Smith’s behalf the next day to Canby’s chief of staff, Major General Peter J. Osterhaus. Canby granted the same surrender terms to Smith which had been given to Lee, Johnston, and Richard Taylor. This disbanded the Confederate Army of the West, which had not been an effective fighting force since its defeat at Westport the previous October. Smith signed the articles of surrender aboard the steamer Fort Jackson at Galveston, Texas on June 2 to make them official. The last significant Confederate military force was no more. Some troops, including those under Jo Shelby and Stand Watie, refused the Federal surrender terms and continued resisting in the West and Mexico. Others simply went home.